When the words home improvement are mentioned, the majority of people think siding, windows, doors and other items that entail the use of contractors. Home improvement entails much more than just things as I mentioned. Anything that can add value, charm and make your home more appealing is a home improvement. Try as I might, I did not find any window, door or siding companies that use a multilevel marketing business format. While it may be a great idea, there is licensing and such that would make it difficult for any company like that. But, I have gone through various MLM companies to find ones that can add value and charm to your home. Here are the top 10 MLM home improvement companies in my opinion. I will start with #10 and work up to #1. I will also put the company’s website link in the reference section if you would like to try any of their products/services or possibly start your own home based business. Headquartered in Rochester, New York, 5Linx was started back in 2001 by entrepreneurs Jeb Tyler, Jason Gluck and Craig Jerabeck. Just as the name implies, Cutco manufactures and sells predominately knives for the kitchen. And ask any housewife or husband who loves to cook, great knives ARE a home improvement. Cutco is headquartered in Olean, New York and was founded back in 1949. Cutco via their marketing arm, Vector Marketing has recruited and trained many college students to sell the Cutco products to help improve customer kitchens. A unique idea that was hatched by a family with the last name Dupont. Founded in 2015 and headquartered in Monmouth, Maine, Chalky and Company makes and sells special powdered paints and kits for the Do It Yourselfers. The idea is to make cool home decorations that have the look of antique or vintage which the special paint the company makes achieves. The primary way Chalky and Company business owners attain customers and recruit downline is by hosting workshops showing some of the fantastic creations a person can make using the products. Carico is well known for high quality and great warranties. Let’s face it, energy such as electricity and gas can be considered a home improvement if you are lowering the costs or can get it for free by becoming an energy provider. That is how Ambit Energy operates. Founded in 2006 in Dallas, Texas, Jere Thompson Jr. and Chris Chambless saw an opportunity because of energy deregulation. Ambit Energy purchase wholesale energy and resells it in an MLM format. 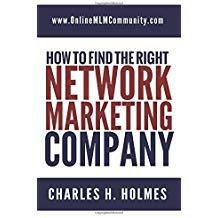 Headquartered in North Carolina, ACN is a well known MLM that sells energy and telecommunication services. The company was founded in 1993 by Robert Stevanovski, Greg Provenzano, Anthony and Michael Cupisz. ACN offers services all around the world and many representatives have jumped aboard the ACN opportunity to improve their own homes as well as others. Karen Eschebach and Jennifer Weaver had this amazing idea and hatched it in 2006… Containers and storage for anything and everything in the home. And I don’t know about you, but I tend to hoard many things and have no clue where or how to store them. Clever Container has the ways and means and these storage systems are magnificently designed to add charm to your home. Clever Container is headquartered in Lake Zurich, Illinois and continues to grow. In 1942, Earl Tupper developed a unique plastic container that would seal tightly and he knew housewives would be enamored by it. In 1948, Earl started Tupperware and it has been a home… kitchen improvement ever since. If you are not familiar with Tupperware, I need to ask you where you have been hiding all your life. Even my kids kept their Lego toys in Tupperware containers. Tupperware is headquartered in Leominster, Massachusetts. Headquartered in Marshall, Texas, Celebrating Home Direct has been using a Direct Sales format for a long time. They offer various home décor and improvement items at factory prices. You may recognize the original name of this company… Electrolux. Yep, Aerus is the company that manufactures and sells Electrolux vacuums. And we all known that vacuuming is a part of home improvement. Aerus carries a trusted and reputable name and are well respected all around the United States. The company was founded in 1924 and is headquartered in Bristol, Virginia. Well, that is my opinion of the top 10 home improvement MLM companies. Leave all questions and comments below. Could you imagine if companies like Lowe’s or Home Depot had a MLM structure, where customers could refer customers and get paid off their lifetime’s purchases? Even if the company only paid out 1 percent, this would be substantial. This would help build customer loyalty, reduce advertising costs, and grow the business at the same time. This is very exciting to me. I believe what you just described is the wave of the future, whether it is a Home Improvement Company, restaurant or something else. I spend so much money at Home Depot and Lowe’s doing projects around my house. I’ll have to check out one of these Home Improvement MLM Companies. If their prices are competitive with those other two stores, I will gladly shop with them.